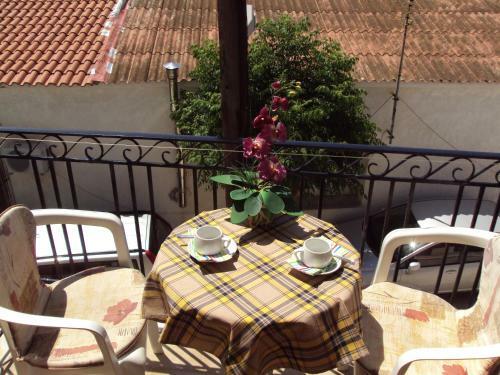 Sunshine in Pythagóreio is a guest house with 7 Rooms. 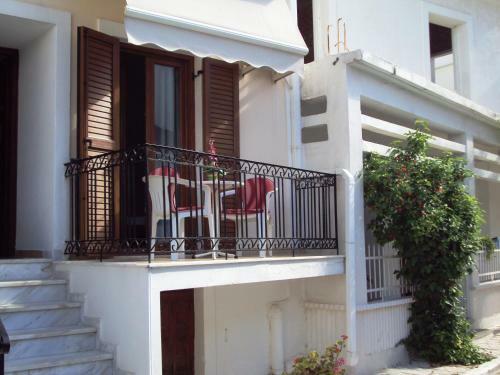 Centrally located in Pythagoreio, Sunshine Pension is located just 60 metres from Pythagoreio Port and 100 metres from the beach. It features a garden and a sun terrace, and offers rooms that open to a balcony with a garden view. Free WiFi is available throughout. The air-conditioned units come with a flat-screen TV and a safety deposit box. They also have a mini fridge, and a bathroom with a shower. Pythagoreio Village with various taverns, bars, super markets, shops, banks and taxis lies 150 m...etres from Sunshine. Samos International Airport is approximately 5 km away. Centrally located in Pythagoreio, Sunshine Pension is located just 60 metres from Pythagoreio Port and 100 metres from the beach. It features a garden... and a sun terrace, and offers rooms that open to a balcony with a garden view. Free WiFi is available throughout. The air-conditioned units come with a flat-screen TV and a safety deposit box. They also have a mini fridge, and a bathroom with a shower. 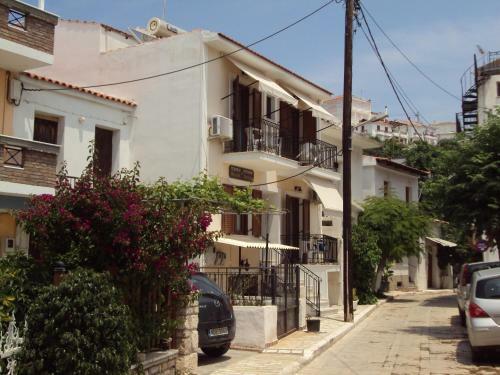 Pythagoreio Village with various taverns, bars, super markets, shops, banks and taxis lies 150 metres from Sunshine. Samos International Airport is approximately 5 km away. When would you like to stay at Sunshine Pension? Please inform Sunshine Pension in advance of your expected arrival time. You can use the Special Requests box when booking, or contact the property directly with the contact details provided in your confirmation. Payment before arrival via bank transfer is required. The property will contact you after you book to provide instructions. This property will not accommodate hen, stag or similar parties.